Keeping your rug clean at home, both before and after having a professional rug cleaning performed by experts, is critical to protecting the longevity of your carpet. It also plays a vital role in making sure your living or work space is free of allergens and other airborne contaminants that can accumulate in your rug’s fibers over a short period of time. Even if your rug isn’t an antique, you likely spent a great deal of money on your investment. In order to keep your rug looking its best, frequent vacuuming does a great job of pulling up matted fibers, and lets you visually inspect your carpet during cleanings for signs of wear, tearing and the unraveling of threads. Though it’s possible for experts to repair your Oriental rug, it’s often better to avoid this altogether by giving your carpet the proper attention a handmade rug deserves. Today we will examine the most common types of rugs found in homes and offices around the world, and give advice on what types of vacuums are best prepared to take on the cleaning challenge. Rugs of this type are praised for their rich, natural dyes and intricate knotting, which is typically done by hand by a specially trained artist. Because these rugs are often older than many other rugs in the home, they require special care during cleaning – meaning modern vacuums with rotating brushes should be avoided at all costs. The best way to clean Oriental, Persian and Turkish rugs is with a canister cleaner or an upright vacuum that has a beater bar, though the latter is a tougher find in newer models. 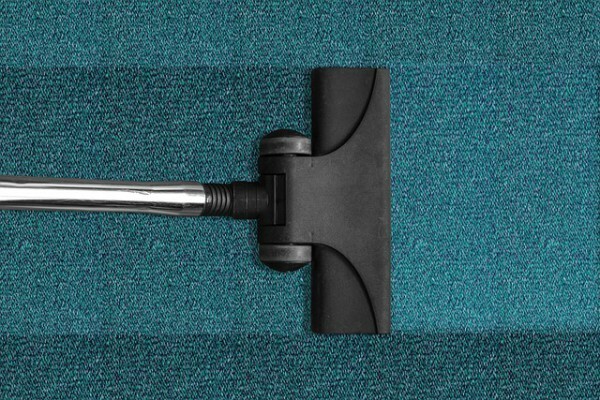 The entire body of the rug can be cleaned by one of these two types, but you’ll definitely want to protect the edges of the rug by covering the attachment nozzle with a nylon stocking to avoid sucking up the fringe and unraveling the piece. If the rug is small enough, you can also drape your rug over something outdoors and lightly “beat” the dust and dander from the rug. Afterward, whether you’ve vacuumed or taken your rug outside for a cleaning, you should also give your rug a thorough vacuuming on its backside as well – though it shouldn’t be needed quite as often as the top, where most of the dirt collects. Made primarily of wool, rayon and silk, pile rugs are best cleaned by Oriental rug professionals, as vacuums tend to damage their fibers, and cleaning your rug with a steam cleaner can have disastrous results. These types of rugs require wet- and dry-cleaning depending on their type, and this should be performed on an annual or semi-annual basis. You can also care for your rug in between with a lightly damp cloth – just be careful to stop cleaning if you notice bleeding of the dyes during this process. Rugs which contain flat weaves include Dhurrie, Kilim, Navajo and Rag carpets among others. These types of rugs can be vacuumed frequently, though you should take great care before purchasing the rug to ask questions of the seller about its care. If you don’t know if your rug is of this type, or you’d like to have your rug examined by an appraiser in order to determine its area of origin, age and materials, please contact us at Ahdoot. We’re happy to help. Have more questions about your Oriental, Persian or Turkish rug? Fill out our online form or visit our showroom to get answers from Ahdoot’s experts in all things related to Oriental rugs.